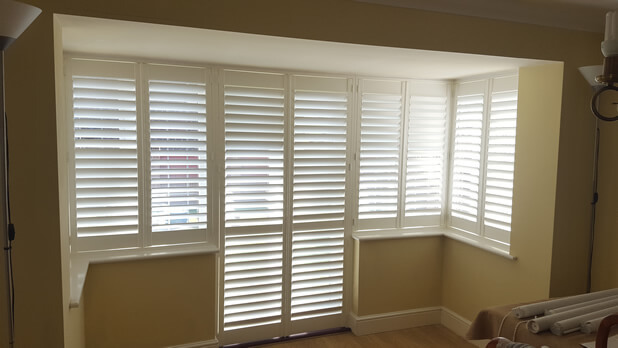 We were in Maidstone, Kent to fit some new shutters to a dining room area. 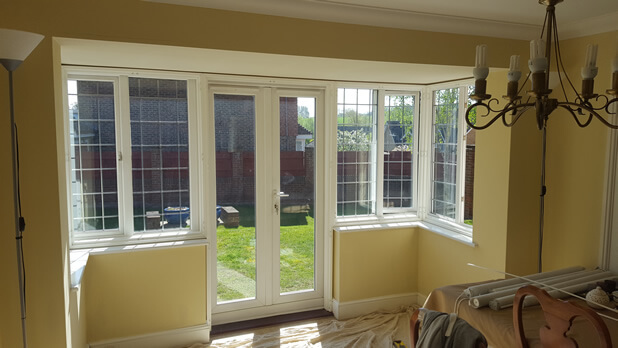 The client was looking to have matching shutters designed and fitted to the whole bay window and door area, which can easily be achieved with our shutters. Here you can see the area before we got to work! 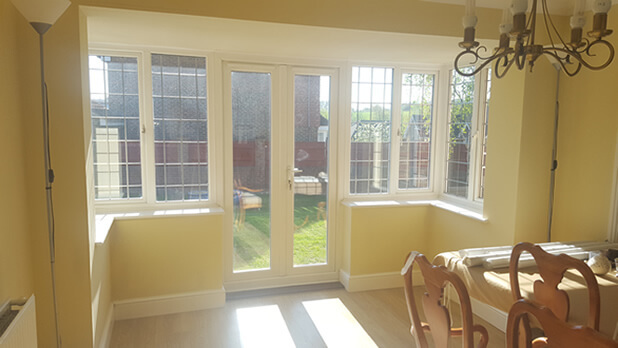 The customer opted to have shutters over other window dressings due to the way that they can be created to perfectly match in the whole area and the ability to manipulate the light levels in and around the room. 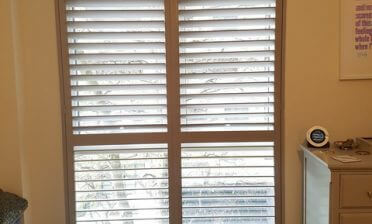 The shutters also allow full access to the windows and more importantly the patio doors behind. Blinds would have created a messy look and curtains were just not viable. 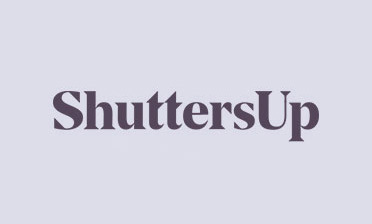 The shutters were installed by Tom and Mike after we carefully designed and had them manufactured to custom fit the exact sizing of the area. One key element in the design was to have the mid rail line of the door shutters to match up with the bottom rail on the window shutters. Firstly we installed the neat framing ready for the new shutters as you can see below! We then installed all the full height shutter panels to the frames, resulting in the perfect made to measure finish for all window and door shutters. 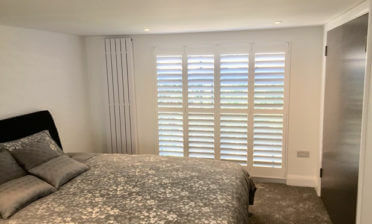 They were finished the shutters in a silk white paint with matching hinges, with 76 mm louvres on all shutters and a hidden tilt rod system throughout. This helped to achieve the minimalistic and modern look that the client wished for.